New Orleans (9-6, 4-0) kept their hold on first place in the young Southland Conference season, winning another road game at Incarnate Word, 87-72. 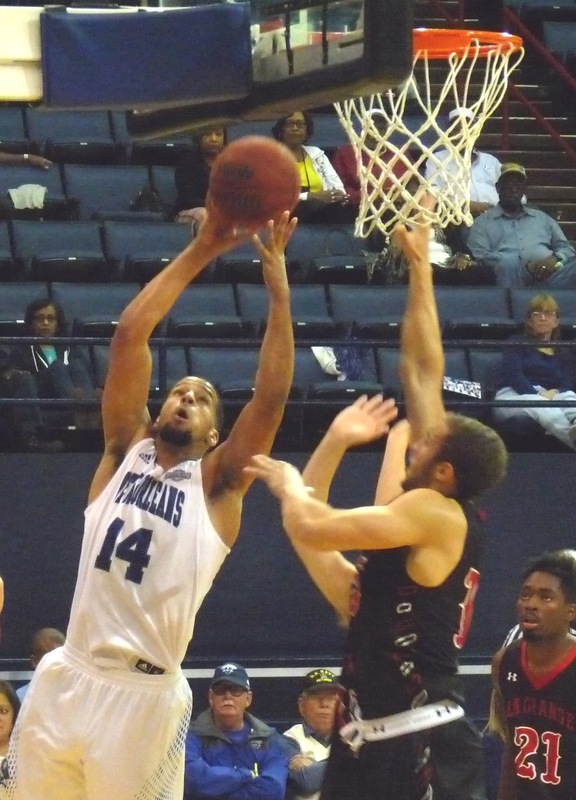 Erik Thomas, after being held well below his average at Lamar on Thursday, returned to form with a 28-point outing, leading a robust Privateer offense that featured five in double figures. Tevin Broyles and Christavious Gill had 14, Travin Thibodeaux 13, and Makur Puou 12. Thibodeaux led the rebounding effort with 10, notching a double-double. UNO led 44-38 at the break and maintained a small but steady lead throughout most of the second half before closing strong and surging into a double-digit lead. They shot 56% from the field and 86% from the foul line while committing just nine turnovers. New Orleans will put its undefeated conference mark to the test in its next game on Thursday, taking on Sam Houston State at Lakefront Arena. UNO has not beaten Sam Houston since it entered the Southland Conference in 2013-14.